Are you a Lenovo mobile phone user? Do you use your phone to store important data for your personal and business use? If you do, then, perhaps, you have experienced accidentally deleting data from your mobile, something that you find frustrating and difficult to undo. Yes. Many users of mobile phones such as Lenovo have enjoyed using their phones and have found it the best storage device for their pictures, text messages, videos, audio files, call logs, contact list, WhatsApp messages, and even games. This practice have brought convenience because mobile phones can be carried anywhere. Hence, data you need for business or for personal communications can be accessible to you anytime and anywhere. While a few people possess the common sense to keep a back up file, there are too many who never thought that files on mobile devices can be easily deleted just with a touch or a swipe or that the files on a mobile phone can be corrupted due to computer virus, defective operating system, or due to damage to the cell phone. Because of this, they are not prepared for emergencies such as data loss. Such an eventuality could be frustrating so much so that the first action that phone owners take is to buy a replacement to their defective device without taking the bother to retrieve or recover data. Perhaps, this is because they think that they cannot do anything anymore regarding the loss or they just don't care about the information stored in their old cell phone. 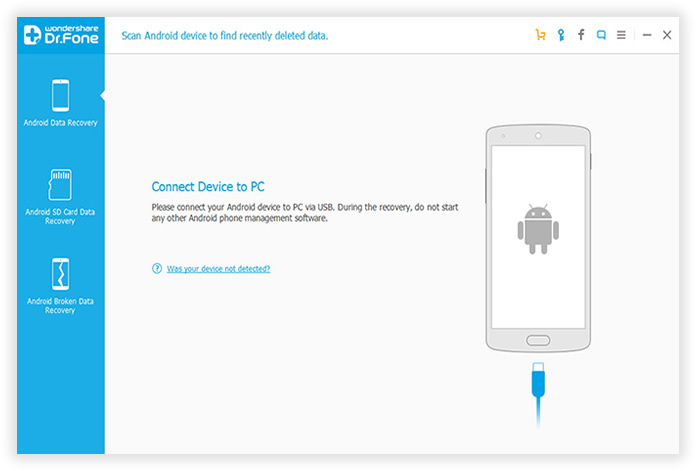 Today, a reprieve is offered to android smart phone users and this comes in the form of Data Recovery for Android, the number one data recovery software worldwide. The program can be relied on when it comes to data recovery as long as the deleted data has not yet been overwritten. When a file is deleted accidentally and you wish to recover it, you should stop using your cell phone until such time that the file is retrieved. Supported Lenovo Devices: A390, A7000, K80, A6000, K3,Tab, S60.etc and more. After you installed the program on your computer, launch it, you will see the initialization interface below, then you need to connect your Lenovo phone to computer via USB. You may not enable debugging on your phone if you don't know what it is, it's not a problem, and you can directly follow the Screenshot commands to enable debugging on your Lenovo phone. When finish, press "Start" on the next. 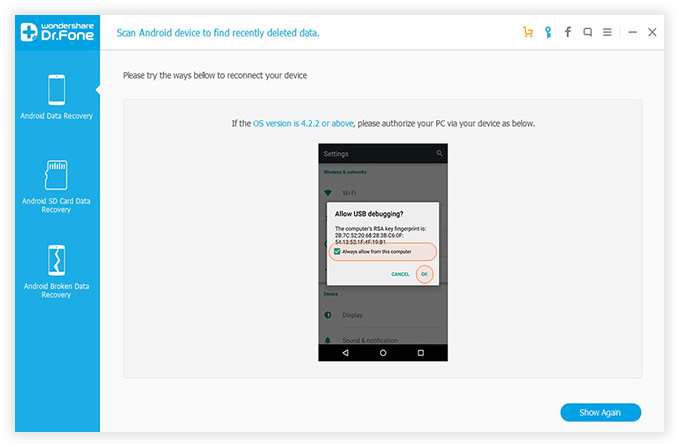 To make sure this Android Data Recovery application can be grant authority to identify your rooted phone, you need to click "OK" on your device when an app Superuser Request pops up. 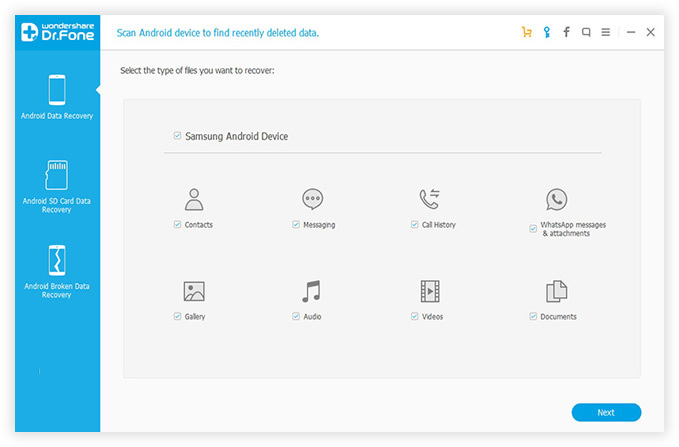 Here it gives you more options to decide what to scan, check whichever you want as long as it's important to you, this will significantly reduce the time of scanning, if you only need to recover deleted contacts or photos, just mark them and click "Next". It will deeply scan the lost data from SIM, Internal memory and SD. The whole scanning will takes some time, please don't disconnect your phone to PC. 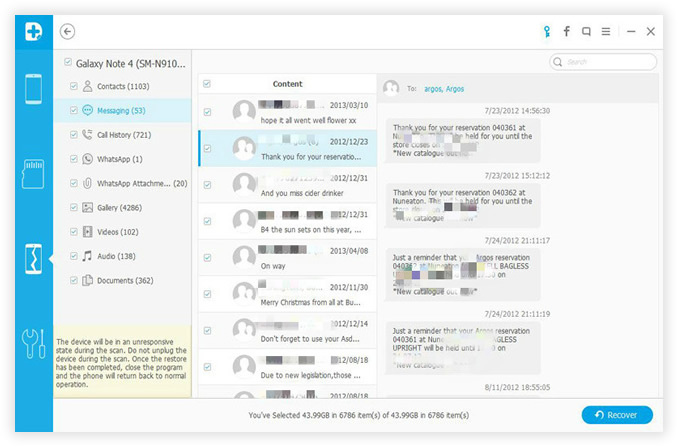 During the scanning process, you can "Pause" to stop the scanning at any time if you see the data you need, the preview feature makes it extremely easy to find the lost data from hundreds results. 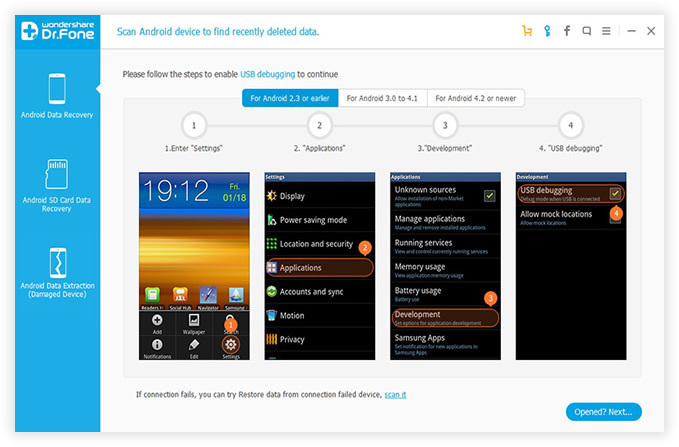 Preview the data and select the data what you need, then click the "Recover". Whatever the potential reasons that lead to data loss, you will still have a chance to get back the lost data from Lenovo phone if you take the proper measures right the first time, this Android File Recovery program is an excellent choice for getting your data back in one piece. Trust this program and stop worrying about lost data. This is an affordable and a one-month warranty comes with it. If you are not satisfied with the way it works, it will give you full refund within 30 days after purchase. There is a support team that is ready to answer your queries any time of day and night so you will find it easy and rewarding to use it.